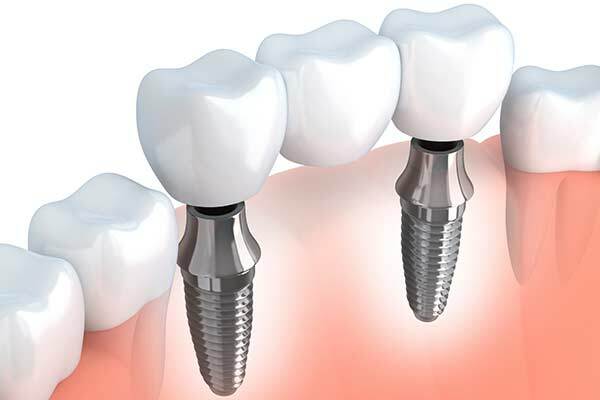 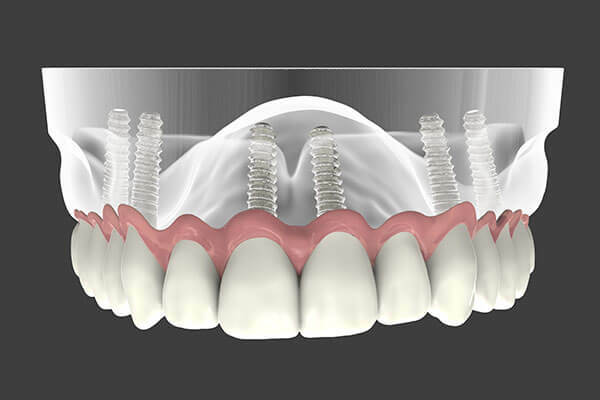 An implant-supported bridge is a restorative solution for spaces where three or more adjacent teeth are missing. 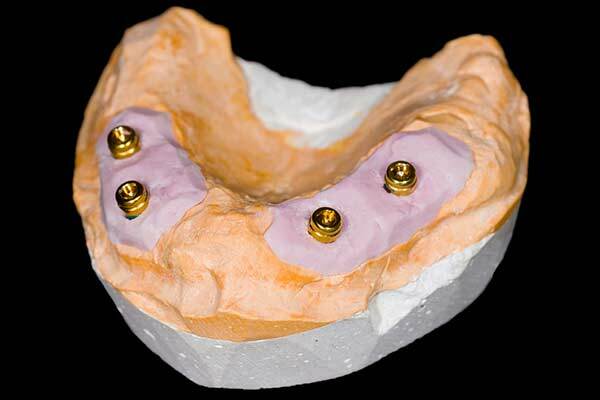 This restoration typically requires two implants to support the porcelain bridge. 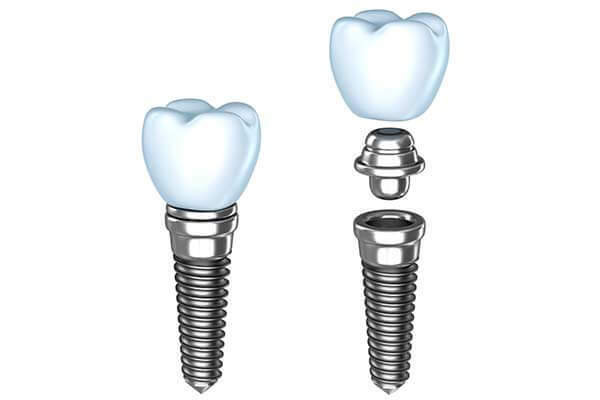 The bridge provides a functional and aesthetic replacement for a patient’s natural teeth.